ANOTHER NIGHT AT AVINELL DR.
Hi: Everyone hope the holidays were great for all. After looking at the orb section I think this one will qualify. I have to agree that this is the least scary object to observe. Hearing a voice and seeing things move is much worse! We have experianced both. 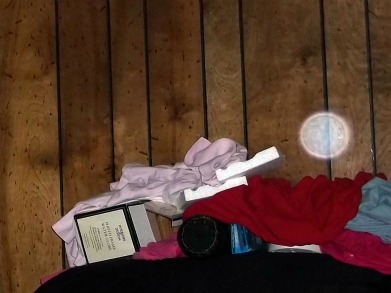 We also had a ghost hunting group in and they did the flashlight test and sure enough it turned on and off on command at 2 different locations in the house at two seperate times. We have been very lucky as no adverse things have happened at the house other than 3 different times one of us has been pushed down the last 3 stairs of our house. That has only happened after alot of confrontational language and goating of what ever is there. Thanks for being there Haunted Hovel is the only place to go with these types of events. Mark G.